If you’re making a monument to the Greatest, it better be really great. 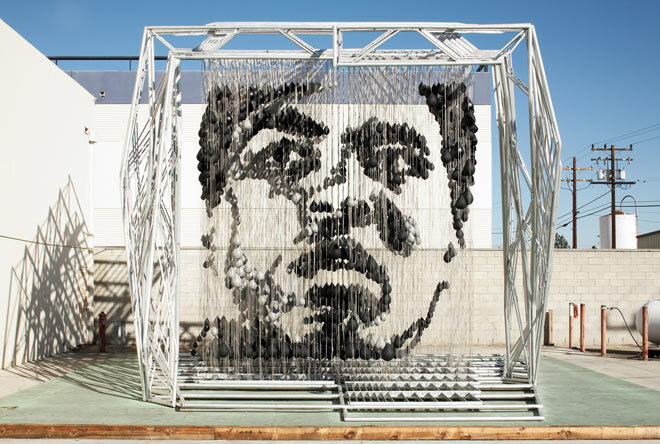 So for his portrait of three-time heavyweight champion Muhammad Ali, artist Michael Kalish went big, using 1,300 punching bags, 6.5 miles of stainless steel cable, and 2,500 pounds of aluminum pipe to construct a 22-foot-high installation that took three years to complete. With its interlocking legs and curving pipes, the resultant work, slated to go on view in March at LA’s Nokia Plaza, looks “effortlessly simple” and has a subtle shine, architect Jenny Wu says. 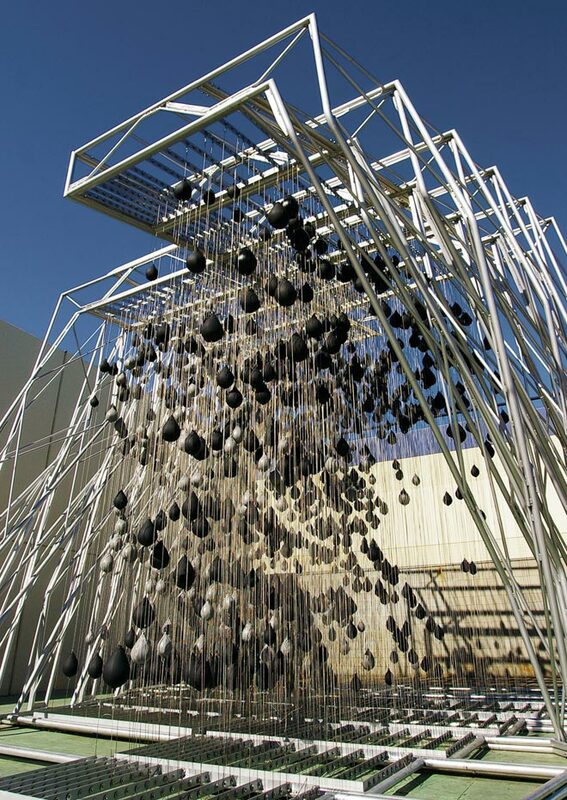 As you walk around the sculpture, you’ll just see interesting hanging bags. Step directly in front, however, and pow! Ali’s visage hits you like a punch in the face. This entry was posted in Art News, arts, shows and tagged art news, exhibit, exhibition, gallery, muhammad ali, museum, show. Bookmark the permalink.